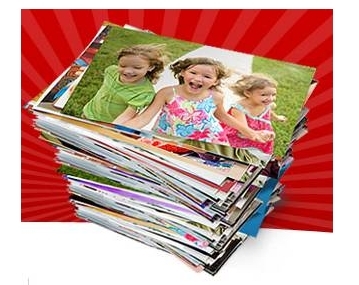 Snapfish is once again offering a deal for 100 photo prints for $5! Just upload 100 photo prints to your cart, go to checkout and use coupon code CELEBRATE100. Your total should be $5, including shipping. This offer is good through April 16, 2012. Just a note…this is only for those who already use Snapfish. I wanted to take advantage of it last time, sorting desperately through my online files to come up with 100 pics to print! Since Snapfish offers a “get aquainted” offer of 50 prints free, they would not allow me to use this. Nor could I choose which offer I wanted, the 50 free comes up as default. It was still a good deal, but the 100 is better. From what I’ve heard, you can do 50 free + the 100 for $5. Does anyone know for sure, though? I used this yesterday as a first-timer and got the deal you posted, 100 for $5. Hope that helps? I think you can do both together. If not, Snapfish might do a credit for future use. Try ordering the 50 first then do a separate order for 100 if you can’t do 150 and combine the offers. I have a credit on my acct for 12 free prints, and I’m pretty sure it will combine. I just ordered 365 prints for $15 (plus $.90 tax). It’s been years since I used Snapfish, but I had no problem using their promotion. I had more photos than 100 to order so I used the promotion code CELEBRATE365 to get 365 for $15 instead of the above listed 100 prints for $5.